It’s that time of year again! Reflecting back on the year past has been a fun and useful experience for me as a landscape and nature photographer. What worked, what didn’t, and what I wish I would have done better all seem to come to light as I take a look back. Choosing my 10 best landscape and scenic photos of 2016 is one of those tasks that I enjoy yet don’t at the same time. It’s fun though to look back and see some amazing places I’ve managed to visit and relive for a moment those times in some amazing locations. I started this all because I wanted to contribute to an amazing project by Jim Goldstein, which is now in its 10th year and going strong. Be sure to head on over there after the first part of the new year to check out all of the amazing photographers who participate. Thank you Jim! Be sure to read on past the images about a recap of the year if you’d like, but I know most people are here for the photos. Without further ado, here are my 10 best landscape and scenic photos of 2016. A first trip to the Washington coast along with a first to the Hoh Rainforest in Olympic National Park yielded some great images from a quick stop. This place was amazing to say the least and a landscape photographer could spend hours roaming around the fairly short trail through the moss covered trees. 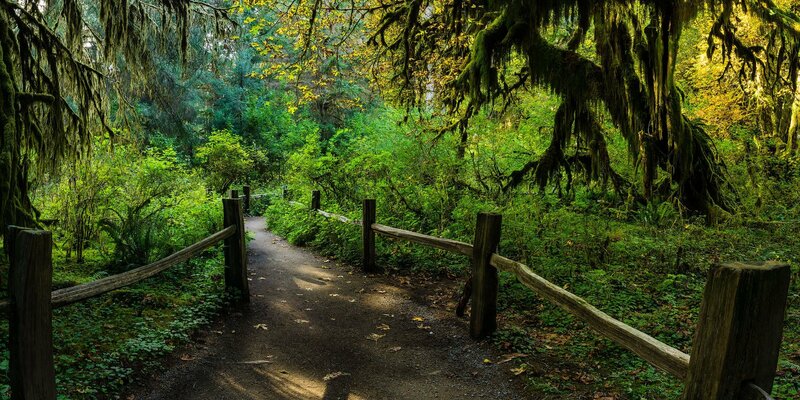 A shaded pathway winds its way through the Hoh Rainforest in the Olympica National Park. I’ve always loved horses. While I’ve never owned one myself and only ridden one once many years ago, I still feel like they are amazing animals. 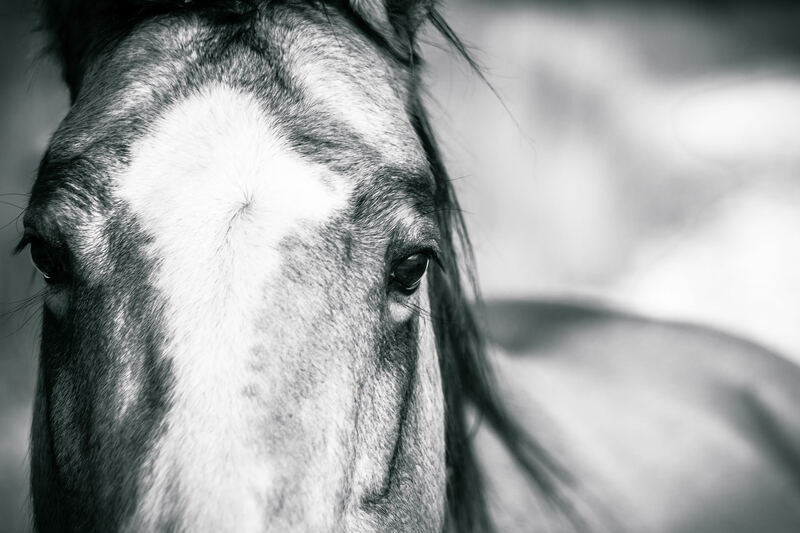 That is what inspired me to start my Horse Collection of images. I only can hope that I can produce images that show others just how I feel about these amazing creatures. This image is the first of those. Mt. 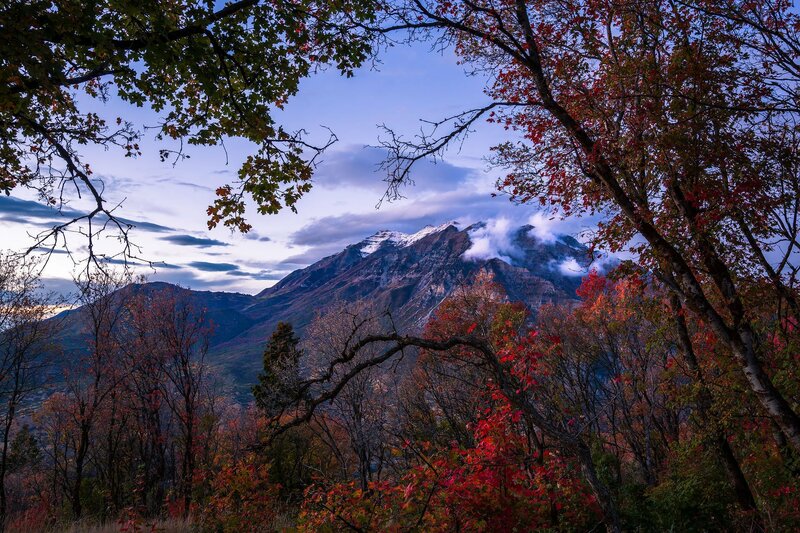 Timpanogos rises above the valley floor surrounded by the remaining Fall colors of Utah at sunset. Days End is an image that happened mostly by chance. I had some time to kill and decided to take a short drive up into the hills above Provo, UT to see if any Fall colors were still kicking up there. I don’t manage to get up to this area very much and each time I go back I wonder why that is. It’s stunning up there. As I slowly drove down the dirt road I noticed some remaining Fall colors clinging to the trees and this scene presented itself. While the leaves were mostly gone, there’s a little bit left clinging on at the end of Fall and the end of the day. 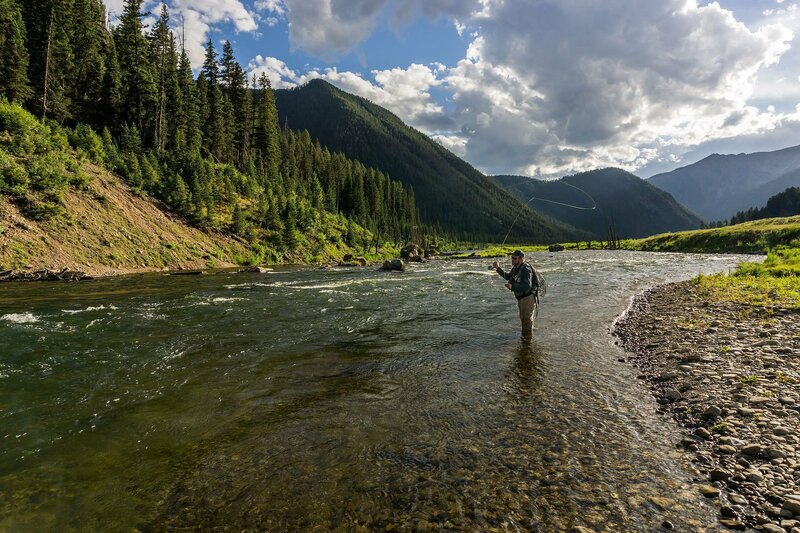 Every year comes an annual trip to the fabled waters of Idaho and Montana during the Summer. This past year yielded a stop at the Madison River in Montana as the fishing on the Henry’s Fork wasn’t really cutting it. Adding to that was the salmonflies were still popping on the Madison. I’ve never fished the famed salmonfly hatch on the Madison or other nearby waters, so it was a mutual agreement that we head over to check this out. If you’ve never experienced the canyon section of the Madison, it provides some stunning scenery as you’re chasing some trouts. I couldn’t help but snap a few fly fishing photos. 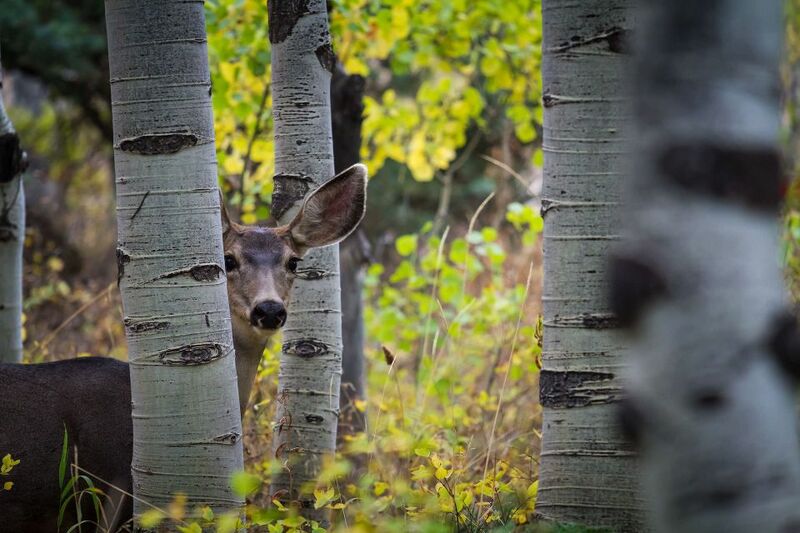 A doe mule deer cautiously peeks around the aspen trees in Utah’s Wasatch Mountains. I wasn’t able to make it out much for Fall colors here in Utah this year. The few times I did didn’t disappoint though. On my first outing in the Wasatch Mountains after a fairly successful excursion, I was heading back to my car when I noticed a few mule deer wandering through the woods. While I wouldn’t consider myself a wildlife photographer, I never pass up the opportunity. I lucked out with this one as she paused briefly, peering around the aspen trees at me. A split second later and she was gone. Three strong horses graze together in the early afternoon. Continuing my Horse Collection is my latest addition, Brothers. 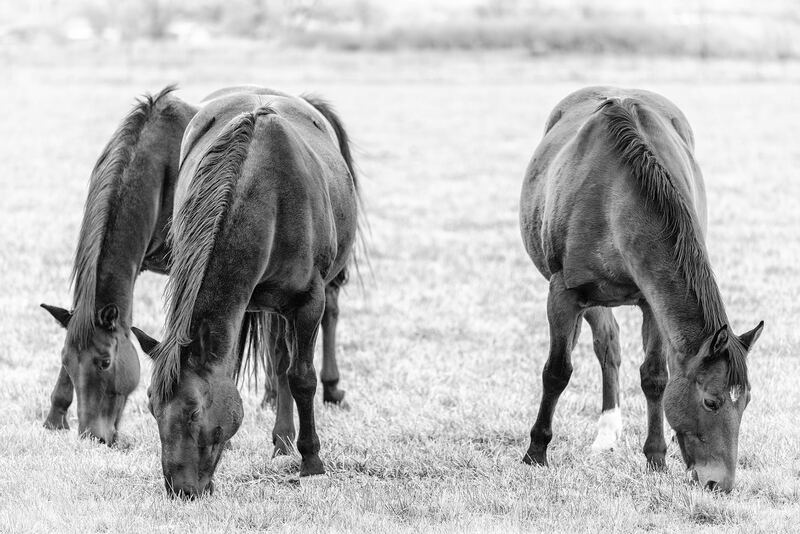 There was just something striking to me about these three horses grazing in the fields of Utah. Maybe it’s something about camaraderie or family, or maybe it’s something completely different. Either way, it made an impact on me. This panoramic nature photograph was my 2016 entry in the Epson International Pano Awards and I was fortunate enough to earn a Bronze Award in this years competition. I had driven past this area earlier on in the week and had to make it back to inspect it further. The early Spring greens were out in full force and I’ve always been a sucker for aspen tree trunks. It all came together this day. 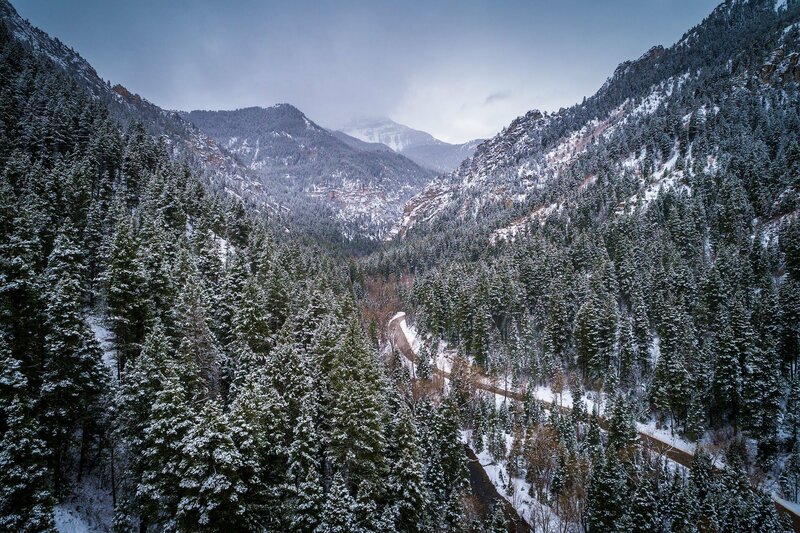 An aerial view of a snowy Winter day in American Fork Canyon as the snow covers the trees and continues to fall. A new venture for me towards the very late end of this year is aerial photography. I’ve always been fascinated by the stunning aerial images I’ve seen floating around the Internet and it has been very high on my list of next steps. I was finally able to step into this field just this past month with the purchase of my first drone and this image is the result of my second flight with it on a snowy Winter day in Utah’s Wasatch Mountains. I had some ideas of images I wanted to come home with and this was one of them. I’m excited to see what this new year brings with this as well as a venture into more video production work as well. 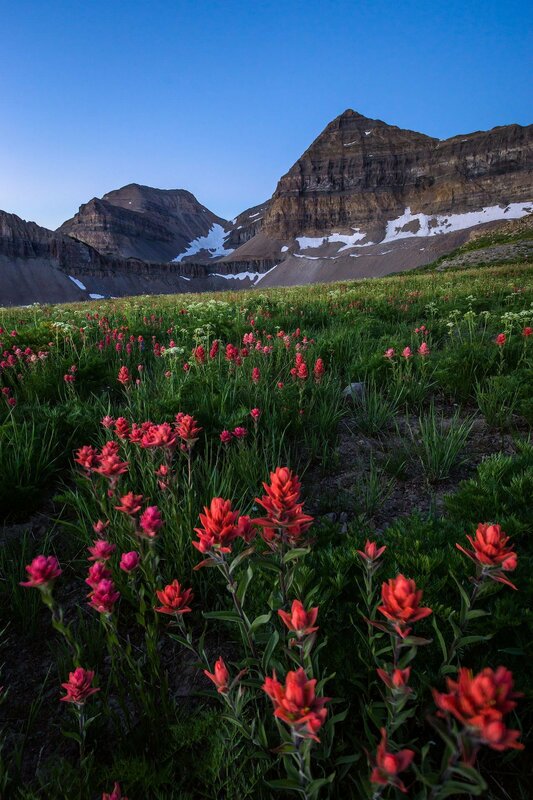 Indian Paintbrush wildflowers bloom into a brillian red in the basin below the peak of Mt. Timpanogos during the warm Summer months. You’d think I’d have a ton of images of Mt. Timpanogos in my portfolio. Well to many, it’s a surprise that this was my first trip up to the cirque to capture the Utah wildflowers as they were blooming this Summer. It didn’t disappoint. The hike was tougher than expected, but that’s probably just cause I’m out of shape or something. Needless to say, it’s one I want to do again as the landscape photography views from this area are simply amazing. 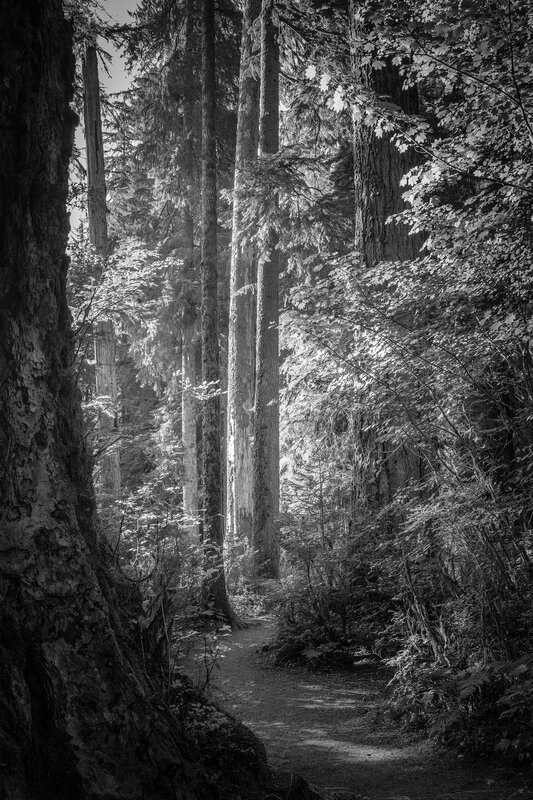 Light shines through the Hoh Rainforest in the Olympic National Park as a narrow path winds its way into the forest. A 2016 addition to my limited edition prints is Eternity. Captured on a quick stop in the Hoh Rainforest in Olympic National Park in early Fall, this area captivated me. While there were many people walking through the woods this day, there was still an eery silence to it all. It gives you the feeling of endless time and endless pathways…an eternity of them if you will. Looking back through 2016 it was my best year to date for my landscape photography business. I was fortunate to work with new and old clients throughout the state and country and many of my photographs are now adorning the walls in a variety of places. It truly is an honor to know that and to be able to see some of these. I took fewer images this past year and didn’t travel as much as I would have liked. I upgraded equipment and moved to a Sony mirrorless system along with getting my feet wet in aerial photography. All-in-all, it was a great year and I have some fun ideas I’m looking forward to for the coming year. If you’re interested in checking out any of my previous years posts, you can find take a look at the 2015 best landscape photography photos, the 2014 10 best landscape and scenic photography photos, the 2013 10 best landscape photos, or the 2012 10 best landscape and nature photos. I hope you enjoyed the recap of this year and my 10 best landscape and scenic photos of 2016. Feel free to leave me any comments, ask any questions, or any other feedback you may have. I hope this year has been great for everyone else as well. Wonderful photos Clint. Your “Forest of Life” panoramic is especially awesome. A pleasure to see your year end photos and I really appreciate your participation in this years Best Photos of the Year blog project. I hope you have a great 2017! Thank you so much Jim! I really appreciate the kind words and thanks for putting on the project year after year. Always enjoy it. Have a great 2017!